Mario Gagliardi is an award-winning postdisciplinary designer, strategic design manager, and thinker. After having been chief designer, professor, advisor and CEO, he founded penccil, the independent social medium for the global creative community. Mario leads MGD Mario Gagliardi Design, an agency for design futures. As chief designer at Korean conglomerate LG, he created one of Asia’s most successful cosmetic brands. As consultant for the Austrian Federal Ministry of Education, Science and Culture, he developed the design strategies for the innovation of education in Austrian schools and universities. As CEO at Qatar Foundation, he laid the conceptual groundwork for the architectural design of the sustainable urban renewal of Doha. Mario holds an MBA from the University of Westminster. He was appointed professor at HongIk IDAS University (Seoul, Korea) and at Aalborg University (Denmark). He conducted workshops at the German Design Council (Rat für Formgebung) and the Product Development and Management Association (UK), gave keynotes at congresses such as Innotown (Norway), the Era 05 World Design Congress, the International Council of Design Week and the European Academy of Design Conference, and held lectures at universities such as London Business School (London), Tsinghua University (Beijing) and Sapienza University (Rome). Mario was a master class student of Alessandro Mendini and Richard Sapper at the University of Applied Arts in Vienna. Mario’s “philosophical cupboard” in the class of Alessandro Mendini was published in the authoritative book on design group Studio Alchimia, Alchimia: Contemporary Italian Design by Kazuko Sato (ISBN 3892680337). He started his career as industrial designer at Philips in the Netherlands. In 1988, he programmed computer games on Atari and Commodore computers and experimented with tangible computer surfaces. In 1989, he was awarded the design prize of architecture magazine Domus with the first digitally designed textile series for Italy’s prestigious textile manufacturer Somma. In 1990, he was awarded the first three prizes at the Austrian Post Shop design competition and was selected for the Austrian national design award. Mario then designed products for clients such as Takashimaya (Japan) and Bergdorf Goodman (USA). In 1995, Mario worked as consultant for the Korean Institute of Design Promotion to help building the new Korean design sector. He then led the first master class of industrial design as professor at the International Design School for Advanced Studies, Hongik University. Finally, he was appointed as Chief Designer and Head of design strategy at the LG headquarters in Seoul. As the first non-Korean in a senior management position at LG, Mario developed a range of successful products and brands such as O Hui and The history of Whoo. The history of Whoo is Korea’s fastest growing cosmetics brand, now generating a yearly revenue of 1.4 billion US$ in the Asian market. Mario’s work was awarded the Good Design Mark of the Korean Republic. Mario also worked as advisor and instructor for the Innovative Design Lab of Samsung, where he developed future technology scenarios and worked with Samsung Design Membership to shape Samsung’s future design strategies. Upon returning to Europe, Mario joined a summer workshop led by Andra Branzi at Domus Academy in Milan. He then moved to London and graduated with an MBA with Merit at the University of Westminster. From 2000, he worked as consultant for the Austrian Federal Ministry of Education, Science and Culture, where he developed the design strategies for the innovation of education in Austrian schools and universities and developed an ecosystem which increased the use of e-learning in Austria from below 10% to over 90% within 5 years. In Austria, he also inspired the design efforts of glass crystal manufacturer Swarovski to help defining its global presence. 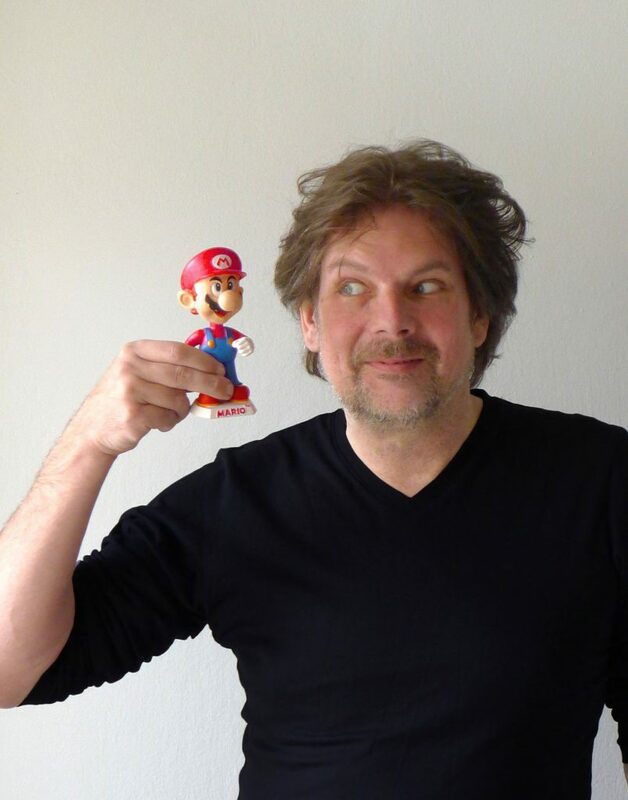 In 2007, Mario taught as professor at Aalborg University. With an article series for the Danish Designers Association, he shaped a new understanding of design by defining the new fields of experience design and generative design. From 2008, Mario served as CEO at Qatar Foundation in Doha, where he laid the conceptual groundwork for the architectural design of the sustainable urban renewal of Doha. In 2012, Mario founded the social network and visual culture sharing platform penccil to promote knowledge and reflection on creative expression, design and the arts. Among his theoretical contributions to design, innovation and business strategy are the cultural analysis framework for branding and design (Design Management Review, 2001), metaphors of brand management and touch-points for brands (Identico, 2005), the concurrence of design integration and economic development stages (Danish Design Center, 2005), the first definitions of experience design and consumers as co-creators (Danish Designers, 2007) and the analysis framework for transformations, territories, frames and uses in the Digital (The Design Journal, 2017). This entry was posted in About MGD by Mario Gagliardi.